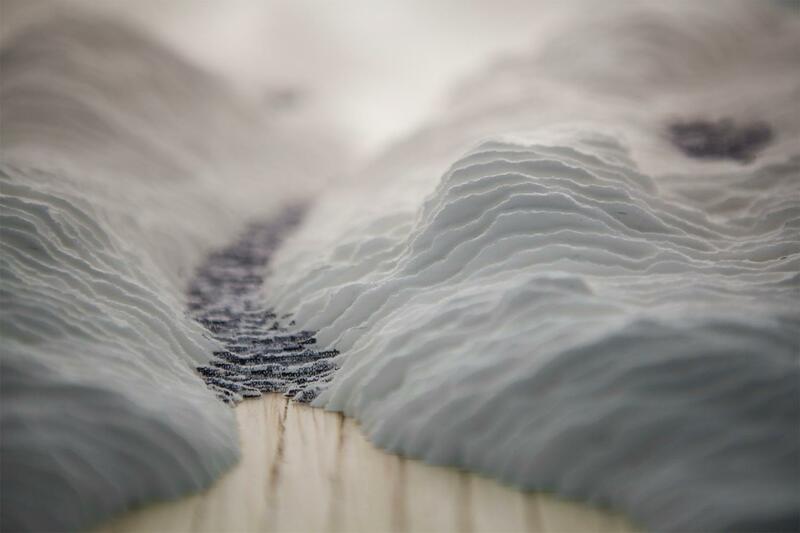 Mixed Greens and Projective City are pleased to present an ambitious, site-specific installation by Scott Hazard, in which large-scale landscapes made of paper structures will cover the entire gallery. 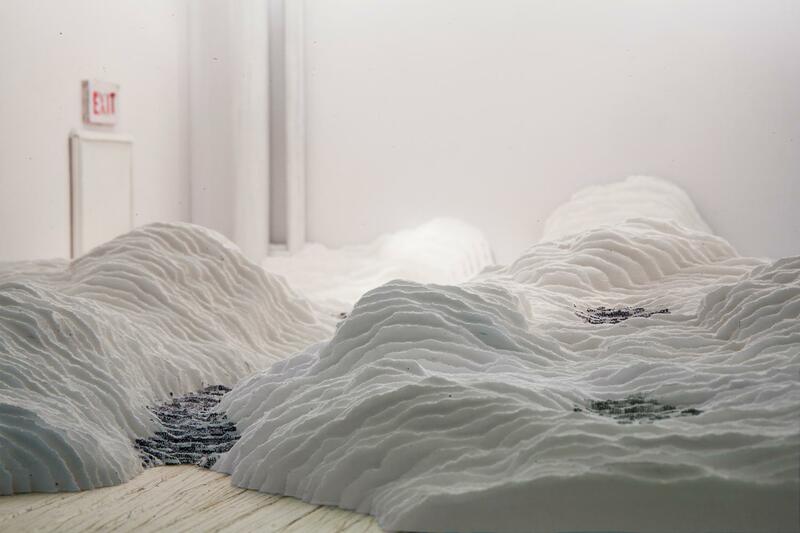 Scott Hazard’s subtle, torn-paper landscapes are based on the oldest idea of the “garden,” that of a cultivated, enclosed space set apart from –yet adjacent to– the wilderness. Yet here the wilderness is not exactly that of nature but rather the din of flowing information, language, and symbol that surrounds most urban-dwellers on a daily basis. Into this flow Hazard creates a momentary pause, an immersive space of rest in which language is once again ordered and reduced to its simplest designative function. 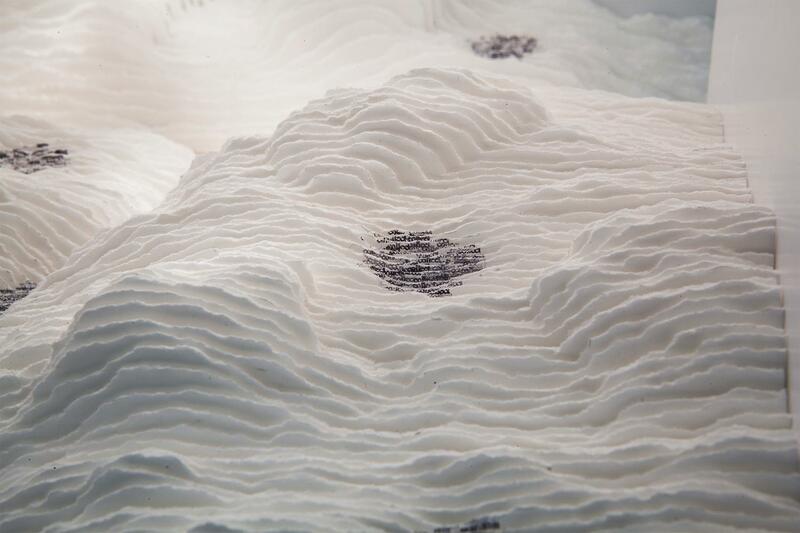 At the same time, the very landscape itself is composed of the materials of the written word: block-printed texts form and identify the geography of the sculpted paper spaces. Does this suggest that ultimately there is no refuge from signification? That the possibility of generating spaces of retreat itself is an illusion, as it too is fabricated from the same stuff as that which it seeks distance from? 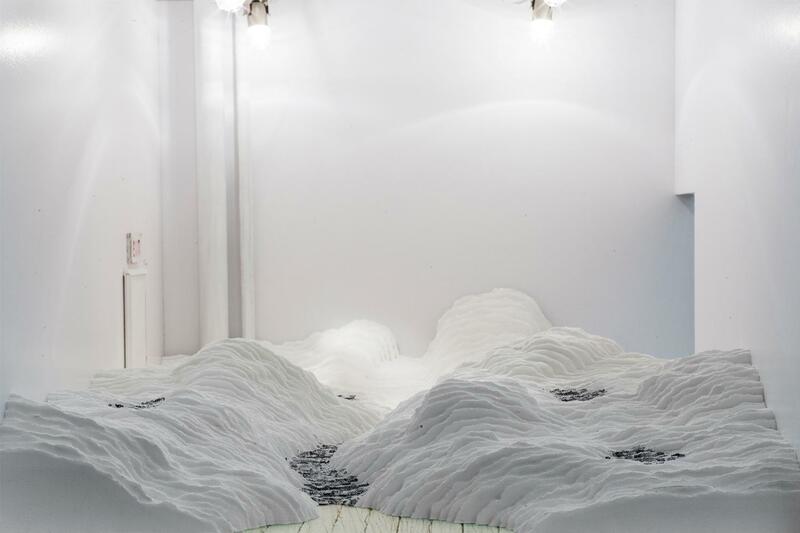 Thus Hazard’s work is both an aesthetic pause in the hectic tornado of information and an exploration of the limits and nature of such pauses themselves. This exhibition allows Hazard the opportunity to drastically expand his work to fill the entire gallery space. 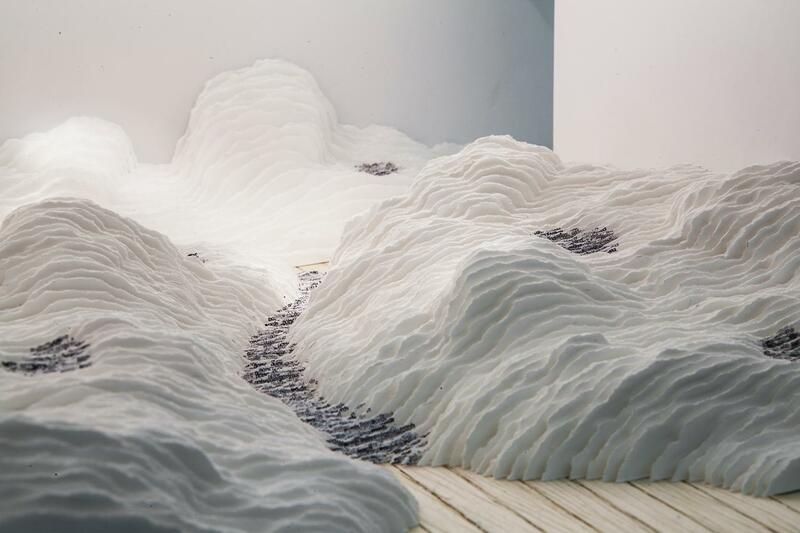 Enormous paper structures form an immersive constructed landscape into which the spectator can gaze, as if wandering in an English country garden. Scott Hazard is an artist based in Raleigh, North Carolina. He has exhibited his work at venues including CAM Raleigh, NC; Second Street Gallery, Charlottesville, VA; Flanders Gallery, Raleigh, NC; Davidson College, Davidson, NC; Roanoke College, Salem, VA; Goucher College, Towson, MD; Atlantic Center for the Arts, New Smyrna Beach, FL; Greenhill Center for NC Art, Greensboro, NC; and Artspace, Raleigh, NC. In addition, his work has been featured in a number of magazines and online publications, including The Wild Magazine, Glamcult, Monster Children, BOOOOOOOM, Juxtapoz, Hi-Fructose, and Colossal. 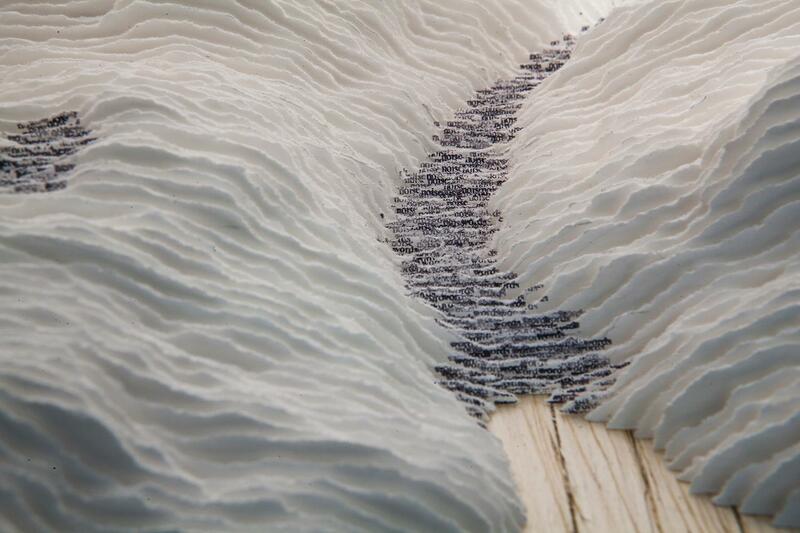 He is the recipient of an Artist Fellowship in Visual Arts from the North Carolina Arts Council.